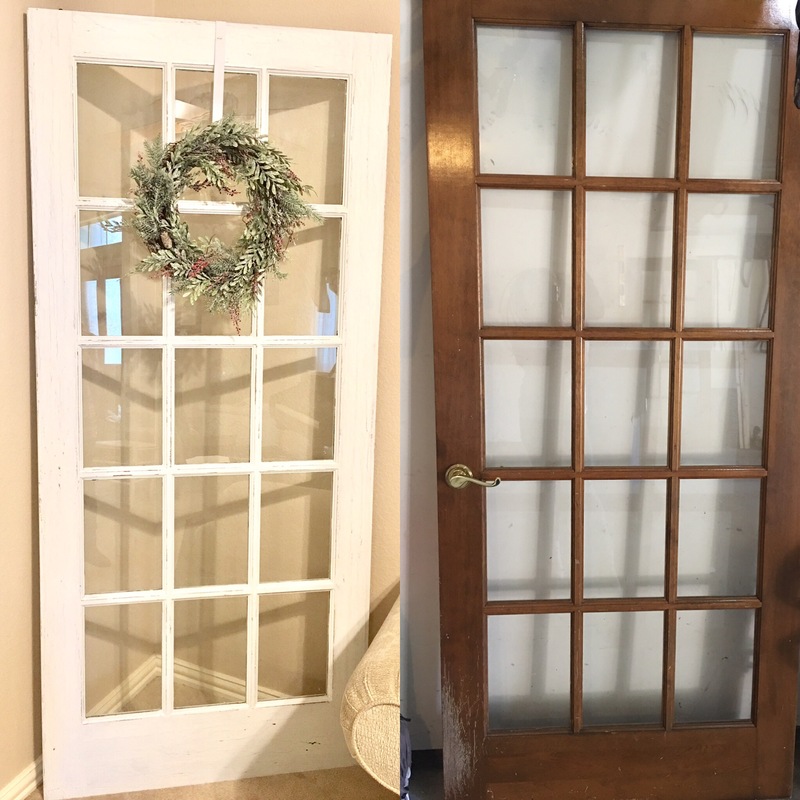 I did a little happy dance when I saw these two old doors at a yard sale the other day! I only wanted one, but the owner said he wanted to sell them as a set. His price: $10. 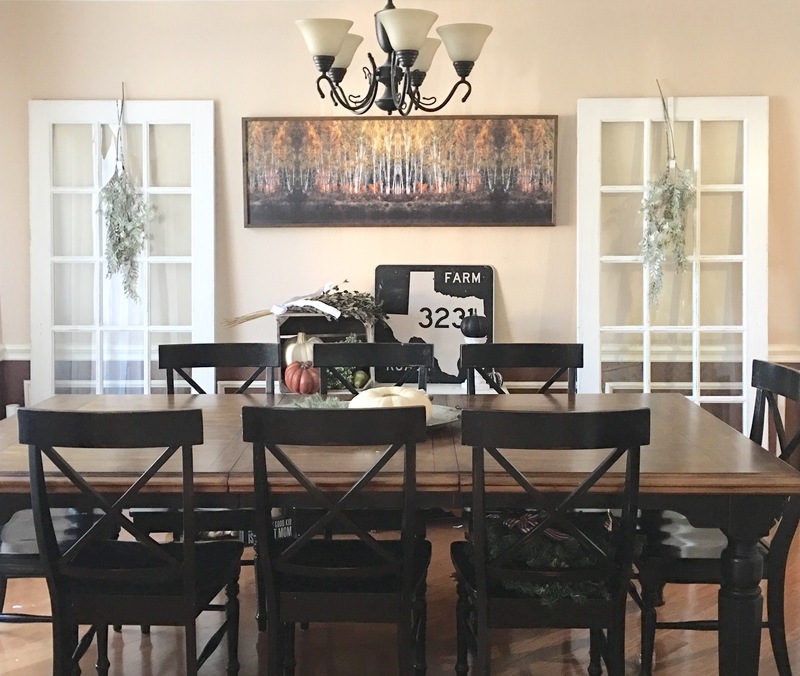 My kids were trying to talk me out of it and my hubby thought I was crazy… but the seller got excited when I told him my vision of painting them. He even suggested using them to display pictures in the windowpanes. He was so cute! 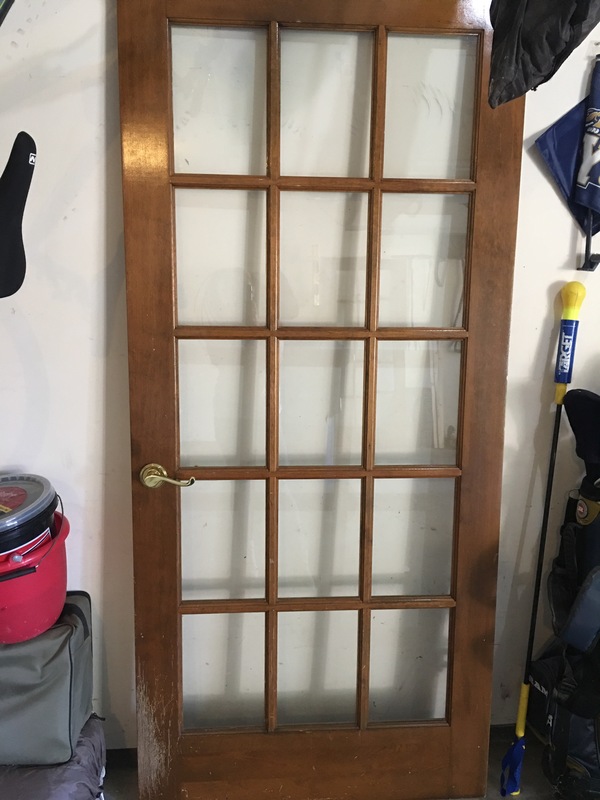 These doors were a mess. A dog had scratched the side and there were lots of dings. I wasn’t worried about any of it because I wanted to make it look old and banged up. First I removed the hardware. The hinges were easy, but I couldn’t figure out a nice way to take off the handles. I had to destroy them to get them off. 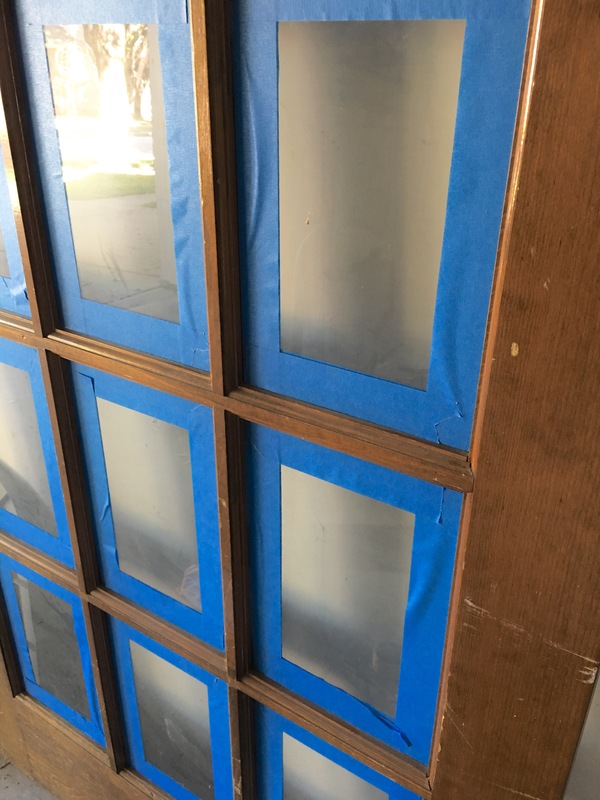 Next I taped around the windows… 15 windows x 4 sides of the door… that’s right 60 windows! I was taping for days! My exacto knife really helped out here. Next I ran a dry cloth over the wood to clean it up. Then it was time to paint. 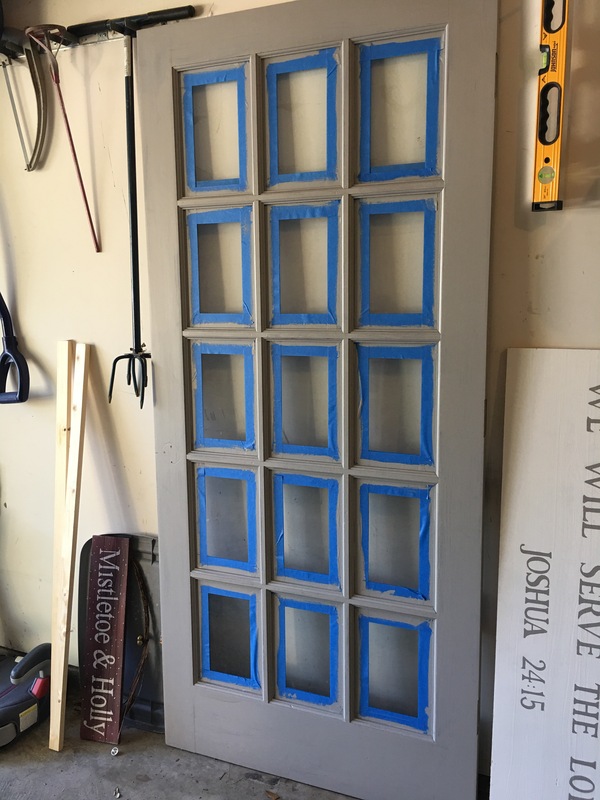 I used Sherwin Williams Functional Gray Paint for the first color. I loved this color so much that I was tempted to just leave it! But with white dreams, I moved on. 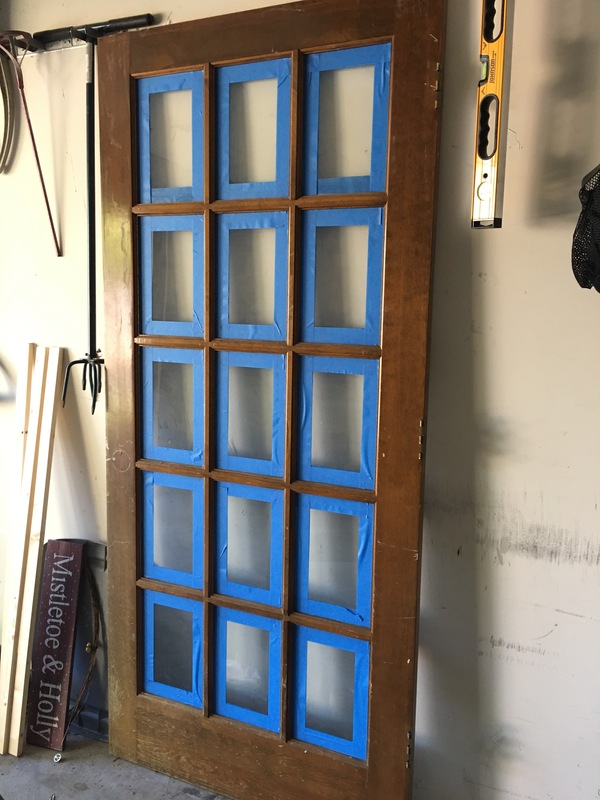 One easy way to get a chippy distressed wood is by using wax. 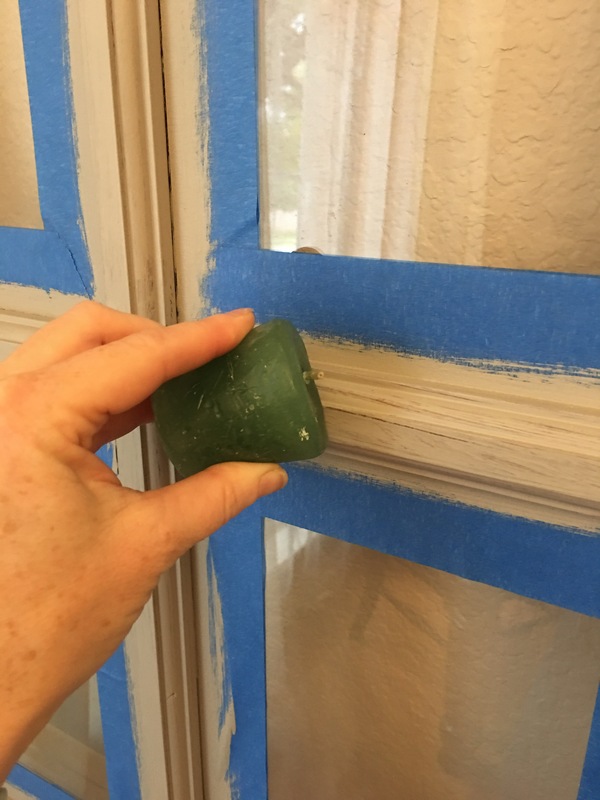 Before I painted the second coat, I rubbed an old candle over the edges and windowpanes. Paint won’t stick to the wax, so with some scrubbing and time, it will flake right off. 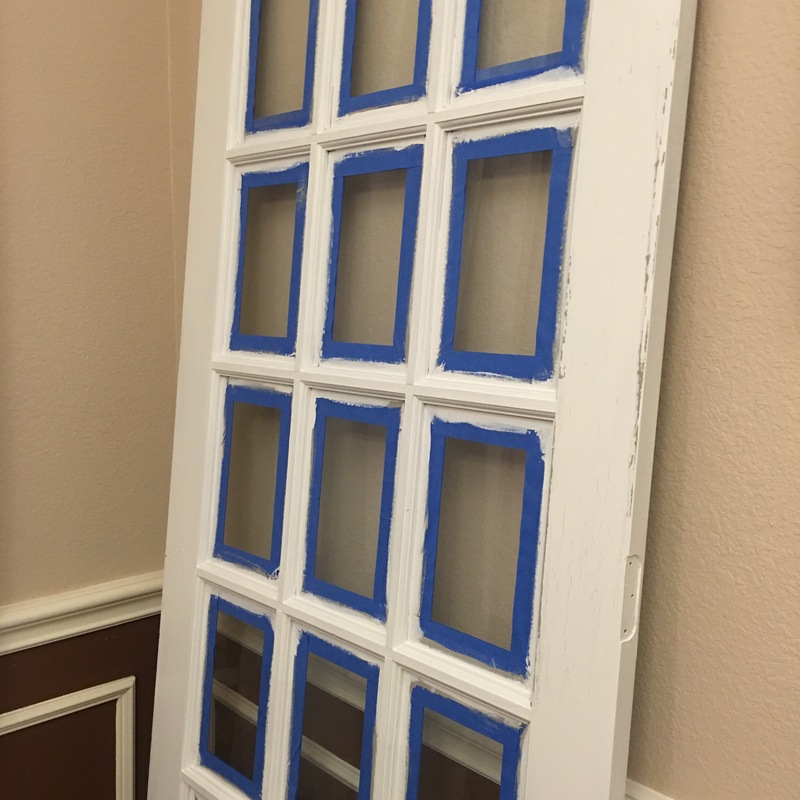 Next I painted the top coat using Sherwin Williams’ Pure White in Satin finish. 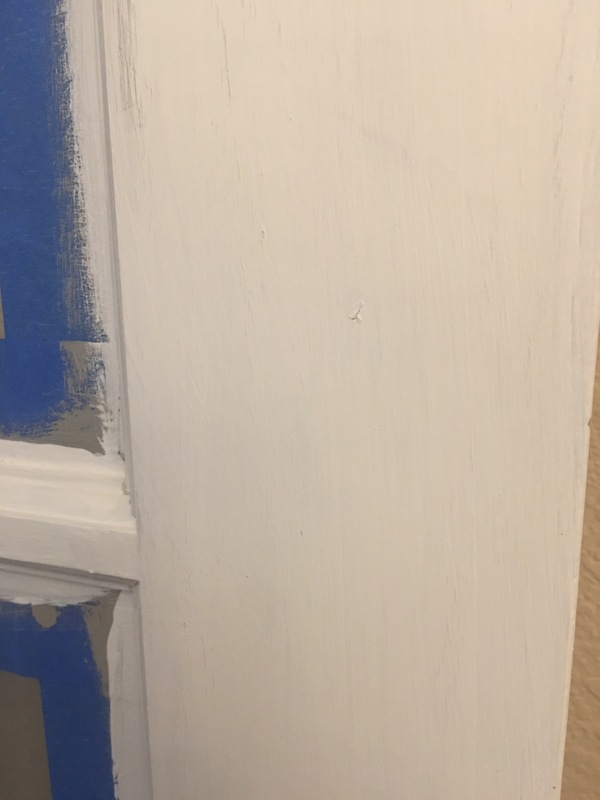 I had to do two coats of this to achieve good coverage. As soon as it was dry, I used a scraper and went over the entire door. Any spot that had wax just flaked right off. This was my favorite part of the entire project! Finally, I removed the tape. 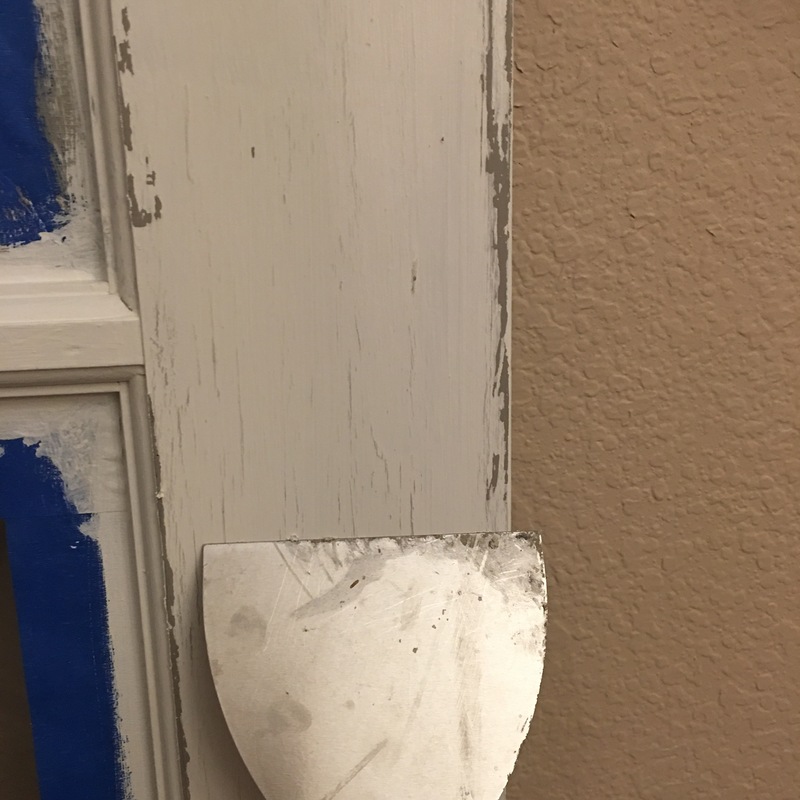 There were so many coats of paint that the tape was impossible to remove cleanly without the exacto knife. And here are the finished doors! 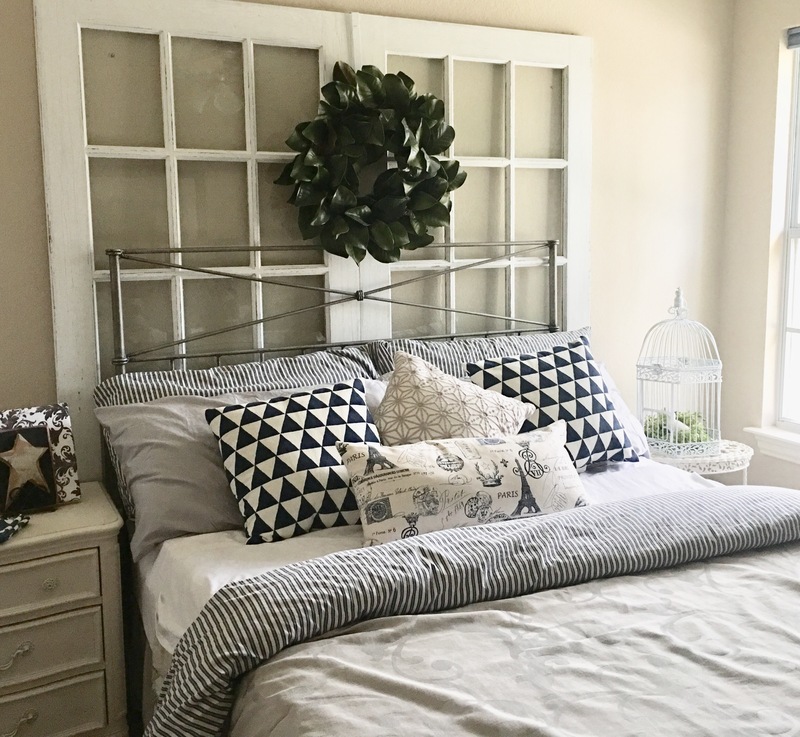 My hubby even surprised me and moved them up to the guest bedroom so I could see what they would look like as a headboard. My only regret is that I didn’t get the number of the cute little man who I bought them from so I could show him how they turned out! Comment below and let me know if this tutorial helped you!